Cannabidiol (CBD) (INN) is one of at least 113 active cannabinoids identified in cannabis. It is a major phytocannabinoid, accounting for up to 40% of the plant’s extract. CBD is considered to have a wide scope of potential medical applications - due to clinical reports showing the lack of side effects, particularly a lack of psychoactivity (as is typically associated with ∆9-THC). 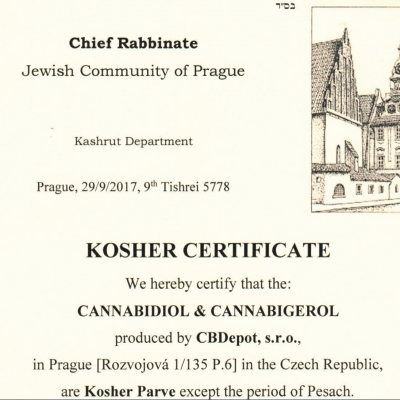 Why buy CBD from us? Since January 2019 CBDepot changed its headline yet again to Upmarket Cannabinoid Solutions. 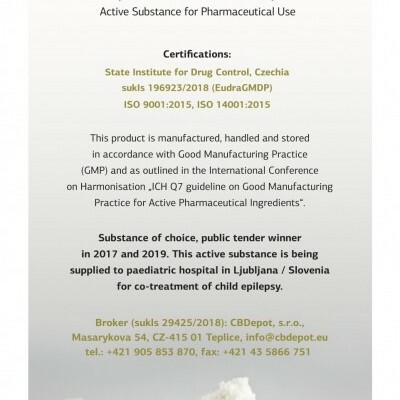 CBDepot introduced the world’s first pharmaceutical GMP natural CBD isolate to the API segment during the world’s biggest pharmaceutical event, the CPhI in Frankfurt, in October 2017.